Build on early math skills, count, add, subtract, and think fast with this fun-to-play Math Lotto game by eeBoo! 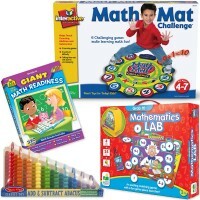 Match answers to complete math problems on your bingo board! 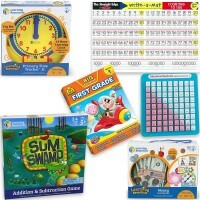 Simple Math Lotto Addition & Subtraction Game eeBoo includes 6 double-sided bingo game boards and 54 playing tiles. 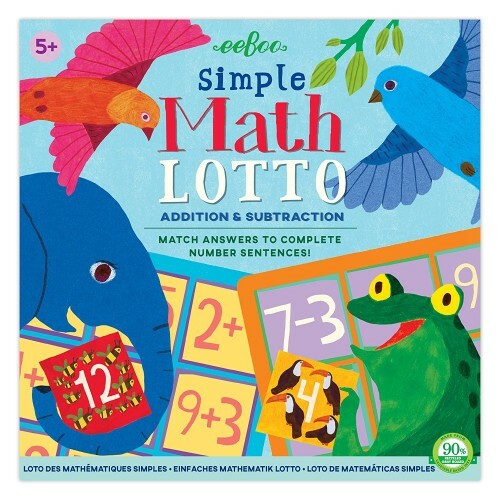 The idea of the game is to be the first player who fills in the answers to the simple addition and subtraction number sentences on the lotto boards. 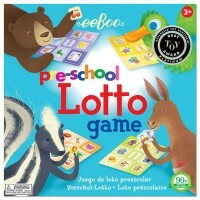 Lay the playing tiles out in a grid face-down and take turns flipping them over. 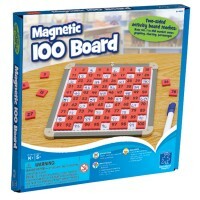 Use your memory skills to fill up your boards fast! 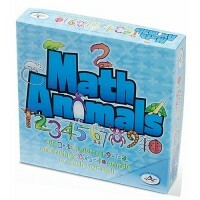 Printed in bright colors and illustrated with funny animals to count faster. 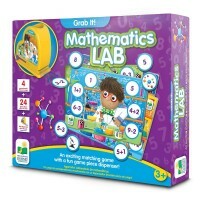 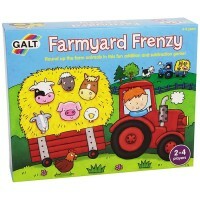 This game from Educational Toys Planet can be played by kids of different math levels. 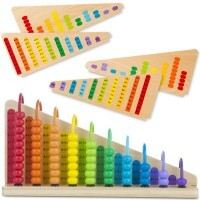 Children can choose if they like to have addition, subtraction boards, or may be both. 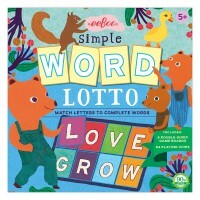 Each answer number tile is illustrated so early math learners can practice counting and visualize solutions to simple math problems. 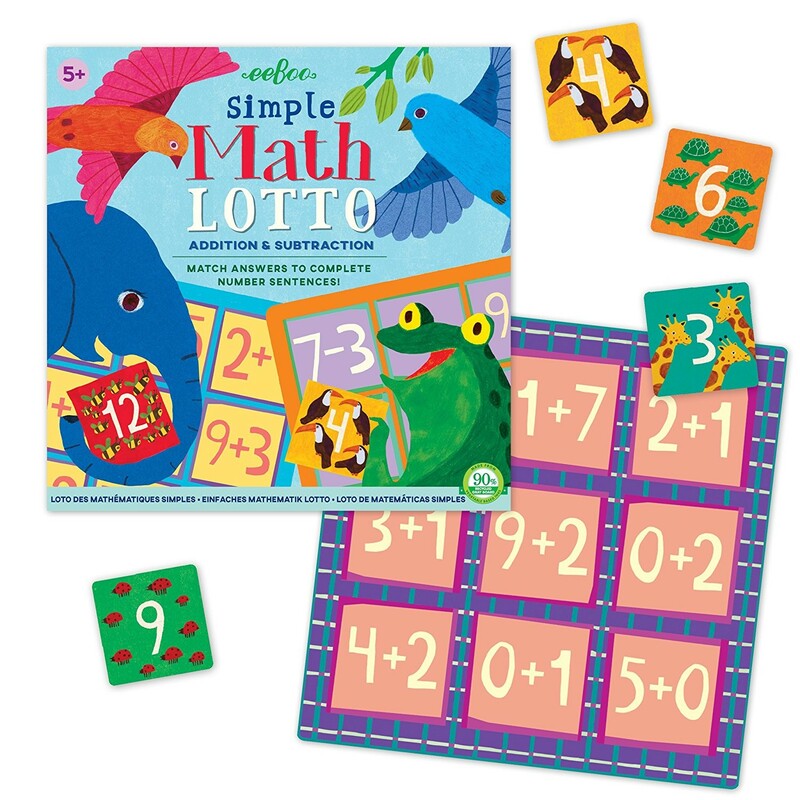 As most eeBoo's cardboard products, this math bingo is made from 90% recycled gray board and printed with vegetable based inks. 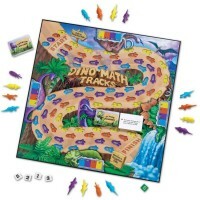 Dimensions of package 0.0875" x 0.0875" x 0.015"
Write your own review of Simple Math Lotto Addition & Subtraction Game.